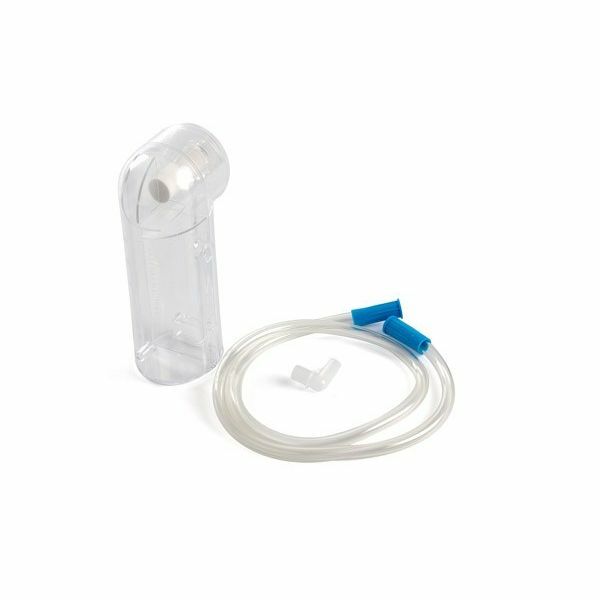 Laerdal's Compact 300ml Suction Unit (LCSU 4) is a lightweight, compact unit ideal for responding to medical emergencies in the field. The machine uses a disposable canister system for improved hygiene and cleanliness, so it's always useful to have a spare canister in case you need to change your current one. The 300ml Canister is perfect in this situation. The 300ml Suction Unit is unique in that vacuum tubes between the canister and suction pump are unnecessary; all you need to do is click the Canister in place and go. This feature offers you a clean and efficient solution because a used canister can be replaced quickly with a new one when the suctioning process has been completed. The 300ml Canister is sealed and has an internal filter so you don't have to purchase them separately. The filter automatically stops suction/flow when the canister is full or the filter becomes saturated if the unit tips onto its side during use. Once wet, the filter forms a gel to prevent the ingress of fluid into the pipe. The 300ml Canister for the Laerdal Compact Suction Unit (LCSU 4) will be subject to a delivery time of 3 - 4 working days after the point of order. For more information, contact our Customer Care Team at 020 7501 0593.